I just received what I thought were going to be the Fox Lorber versions of "The Killer" and "Hard Boiled" from an ebay seller. Well, what is on the discs I believe is indeed from the Fox Lorber DVDs, but the only reason I know that is because I rented them from Netflix a few weeks ago. Other then that they are nothing like the Fox Lorber versions. 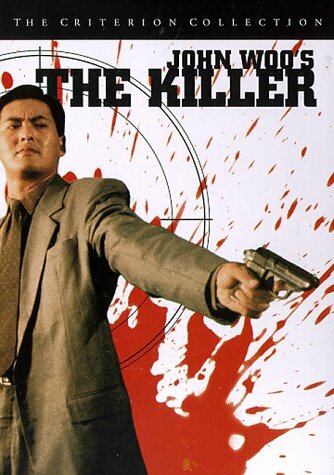 The cover art is from the Criterion versions, the disc art is obviously a hack job, and I noticed that in the center ring on "Hard Boiled" it does say "Hard Boiled" which really made me begin to think that maybe they were not boot legs after all, but after taking one look at "The Killer" I knew that there was no doubt that it was a boot leg. In the center ring of "The Killer" DVD is the word "Blank." Nice try buddy. Anyway, I thought i'd get on here and warn people not to bid on anything from the seller [email protected] . I'm going to report it to ebay as soon as I figure out how. Just curious, what are the Fox Lorber DVDs? I have been wanting to buy The Kill and Hard Boiled from ebay, but the ones with the Criterion covers gave me a bad hunch they were bootlegs. Did you really expect to get those OOP DVDs for $13? Moreover both DVDs you purchased have the cover art that doesn't exist. so the fox lorber versions are OOP too? Yes, they're OOP. But you can still find them on ebay for less than what you would've paid in a store. I did get those OOP DVDs for $13 and since ebay won't let me file a fraud claim for 30 days I guess I get to keep them. Thank you ebay, or something. I made the mistake of thinking that ebay wouldn't allow someone like that to sell things on there for as long as he has. He's been selling since 1999 and he has thousands of positive feed back ratings with a few negatives scattered here and there that mainly say shipping was slow. Nothing is mentioned about boot legs as far as I could see. As for the cover art, it does exist on the Criterion DVDs. Rather than doing homework before buying anything on ebay i'd recommend not even bothering to use ebay for any reason. Ebay doesn't seem in any hurry to do away with guys like the one mentioned in my original post, just as long as they get their cut of the money. um, how long have you been on ebay? there are a ton of people like that - w/ plenty of feedback for selling bootlegs. i disagree w/ your last piece of advice. DO YOUR HOMEWORK before you buy on ebay. i can't believe you thought you were going to get real versions for $13 - and the fact that you did means that all the other people who want the criterion saw it and passed b/c they figured it out. btw, they sell on amazon too so you'd better stop buying from them too. Rather than doing homework before buying anything on ebay i'd recommend not even bothering to use ebay for any reason. Boy, just because you were less than smart in your eBay participation is no reason to make such useless, offensive, sweeping statements. I have sold about 1000 items on eBay and sit with 100% positive feedback. You didn't get OOP DVDs, you got bootlegs. I would advise you to contact the production company if you want anything to be done as ebay will do nothing - your guy is a power seller... (I read somewhere that ebay employees are ordered by their management not to touch power sellers, except for some extreme cases). I most likely will contact the production company about it. Too bad it probably won't do any good, but at least i'll try. I'll admit I haven't used ebay much, but every time I do i've had a terrible experience with the sellers, buyers, and ebay as a whole. This last incident will teach me to stay away, and I still stand by my recommendation not to use the site for any reason. Why? Because it's obvious they don't care about what is sold on their site, as long as they get their cut of the bidding. I just received what I thought were going to be the Fox Lorber versions of "The Killer" and "Hard Boiled" from an ebay seller. Why did you think that???? Where in the description does it say that they are Fox/Lorber discs? Just because you ASSUMED that he was selling something that he wasn't doesn't mean that you shouldn't buy items on e-bay. Next time ask the guy who put it out. The OP is obviously new to ebay and does need some help. Instead of offering him/her some help, some people prefer to attack. I do understand his/her anger and frustration. It makes me so angry myself that people sell thousands of bootlegs a month, have "power seller" status and open their stores there... and nobody seem to care. The one in the ebay ad says "HK Video" on it. Why would you think it was Fox-Lorber? Do the Fox Lorber copies say "HK video" on them? At least I know what to look for now when I go to Chinatown tomorrow. If you're still looking for "The Killer" and have a multi-region player that will also do PAL, this Region 2 version is the one to get: http://www.amazon.co.uk/exec/obidos/...371460-9648667 (unlike all other versions, it is anamorphic). If you want a version of Hardboiled just to watch the movie, get the new R0 Mei Ah version, that has the DTS, and the original Mono track, and picture quality that is supossedly better than the criterion version. It can be found for about 10$ at most Etailors. For more info go to this thread. i'm a little mixed on this. if he had been somewhat reasonable in his response... "i made a mistake, next time i'll be more careful," i'd probably be a lot more understanding. but his opinion is to damn all of ebay. it sounds like the seller had been forthright about the dvds. anyway, i still say buyer beware... but you may still get ripped off in the future. About 1.5 years ago, I bought an item from a ebay seller. About $60 for DanceDanceRevolution and a DDR mat. The seller had zero negative feedback and 50+ positive. I never got my item. In the next few months after my transaction, the seller accumulated at least 10 negatives per month before finally being shut down. I did my homework. The seller had good ratings. And I still got burned. For this reason I don't buy from ebay anymore. I buy only if I can use a credit card. So I'm not the only one that's had a run in with this dude! I won on an auction for Rasen (part of the Ring series) and he never sent the DVD or emailed me until I left Neg feedback. Paypal investigated him and refunded my money because he even ignored them. This guy is bad news all the way around. Last edited by buckee1; 07-14-03 at 10:43 PM. I've bought from the guy and had no problems.